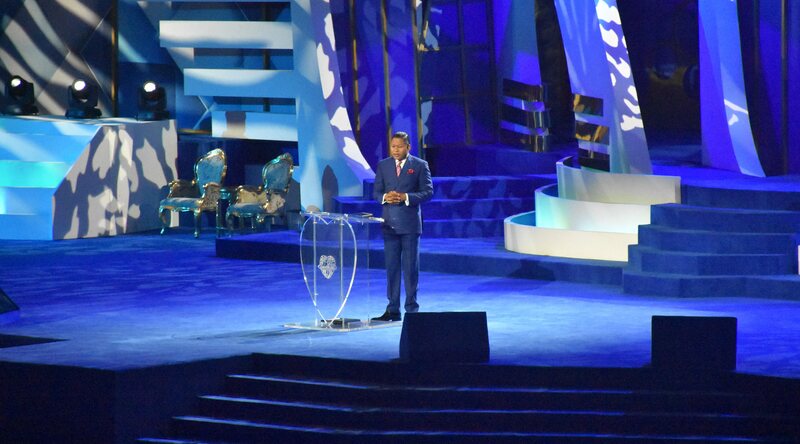 In continuation of his message on the integrity of faith, Reverend Tom declared that faith doesn’t have plan b. He remarked that stubborn faith doesn’t give up or give in. Stubborn faith doesn’t quit. It follows through until the manifestation of the required result. Reverend Tom reminded the delegates that there is no alternative to faith and that our faith is the victory that overcomes the world. He posited that the just shall live by his faith. Faith, according to Rev Tom, is a lifestyle and not for pleasing anybody. It should be switched on when you’re in public and when nobody is watching. At this point, no single delegate was seated as everyone started blasting in tongues. It’s indeed getting hotter with every passing session of the ongoing IPPC. Hallelujah!!! Glory to God!! I’m a walking talking spirit. Wow power packed. There is no plan B.
I do not give up, or give in.No plan B for me.